Laura Lee has longed for a child of her own-but she neverexpected one would suddnely appear on the school steps.With a note begging her to raise the baby girl, the teacher must find a new home since there's a ruleagainst children in the boardinghouse. Her only option us becoming a temporary live-in nanny for a rancher. Widowed single father Clint Shepard needs a nanny for his daughter immediately - even if hiring Laura means he'll have to find someone in a few months when school starts up. But after spending time with her and the little girl she'sraising, he starts falling for them, and wishing the arrangement could be permanent. 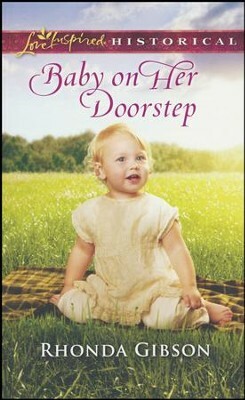 I'm the author/artist and I want to review Baby on Her Doorstep.